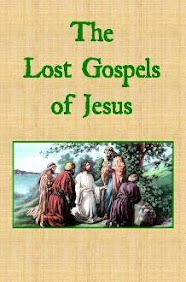 15:1 Early in the morning the chief priests held an impromptu meeting with the elders, scribes and the entire council. They bound Jesus and took him away to be delivered to Pilate. 15:3 The chief priests then began accusing Jesus of many things. 15:4 Pilate kept questioning him and then he said, “Don’t you have an answer? Consider all the things they accused you of. 15:5 But Jesus made no further reply, which amazed Pilate. 15:6 Now usually for the Passover feast Pilate would release one prisoner at their choosing. 15:7 And there was a man named Barabbas who was arrested with the rioters that had committed murder during the riot. 15:8 And the crowd shouted that he should do as he usually does to them. 15:10 For he understood that the chief priests had arrested him because of enviousness. 15:11 But the chief priests encouraged the people to request he release Barabbas to them instead of Jesus. 15:15 So Pilate, wanting to satisfy the crowd, released Barabbas to them. After having him flogged, he handed Jesus over to be crucified. 15:16 The soldiers led him off, into a palace courtyard called the Praetorium, and there they assembled a troop of soldiers. 15:17 Then they dressed him in a purple robe and wove together a wreath of thorns – and put this on his head. 15:19 Repeatedly they beat him with a cane and spit on him and fell to their knees and paid obeisance to him. 15:20 After they mocked him they took off the purple robe and put on his own clothes and took him away to crucify him. 15:21 They forced a man named Simon – the father of Alexander and Rufus and a Cyrenian traveling abroad – to carry his stake. 15:23 Then they offered him wine mixed with myrrh but he refused it. 15:24 And they crucified him and divided up his garments among themselves, casting lots to decide who got what. 15:25 It was the third hour2 when they crucified him. 15:26 The accusation inscribed above him was, THE LEADER OF THE JEWS. 15:32 Oh Anointed of God [Messiah, Christ], the leader of Israel, come down from the stake now so we may see and believe!” Those who were crucified with him also insulted him. 15:38 The veil of the Temple was torn in two, from top to bottom. 15:40 Some women looked on from a distance – including Mary Magdalene and Mary the mother of James the Lesser, Joseph and Salome. 15:41 When he was in Galilee, they had followed him and served him and there were many other women who traveled with him to Jerusalem. 15:42 Evening came, and it was preparation day – the day prior to the Sabbath. 15:43 Joseph of Arimathea arrived. He was a prominent council member who had accepted the shelter of God. He gathered his courage and approached Pilate; and requested the body of Jesus. 15:44 Pilate was surprised to learn he had passed away by then, and summoned the centurion and asked him whether he had already passed away. 15:45 After learning this from the centurion, he granted Joseph the body. 15:46 Joseph brought some linen cloth took his body down and wrapped it in the linen cloth. Then he laid his body in a tomb that had been cut out from the rock – and he rolled a stone against the entrance of the tomb. 15:47 Mary Magdalene and Mary the mother of Joseph looked on in order to see where his body was laid. 1. Verse 15:2. The Greek word βασιλεύς (basileus) means, according to the lexicon, “leader of the people, prince, commander, lord of the land.” Pilate was a governor allegiant to Herod, who had already been given the title “King of the Jews” by the Roman Senate. Pilate would likely not be inclined to insinuate that Jesus could claim this title of “king” since the title was already granted and approved by Caeser. Jesus also was not a governor. Therefore, “leader” or even “spiritual leader” would be indicated, because such a reference would describe a leader within a certain religious faith. 2. Verse 15:25. The third hour is nine o’clock in the morning. 3. Verse 15:28 did not exist in early manuscripts – it was added later. 4. Verse 15:33. The sixth hour is twelve noon. 5. Verse 15:33. The ninth hour is three o’clock in the afternoon. 7. Verse 15:37. The Greek word, ἐκπνέω (ekpneō) means, according to the lexicon, “to breathe out, breathe out one's life, breathe one’s last, expire.” What is being “breathed out,” according to ancient texts, is the soul or spirit – the person within. This has also been translated to “give up the ghost” in some texts. It is clear from this text that Jesus’ followers understood that Jesus’ body died at this moment and the soul or spirit-person of Jesus left his physical body at that time of death. The spirit-person or soul of Jesus left or passed from his temporary physical body.